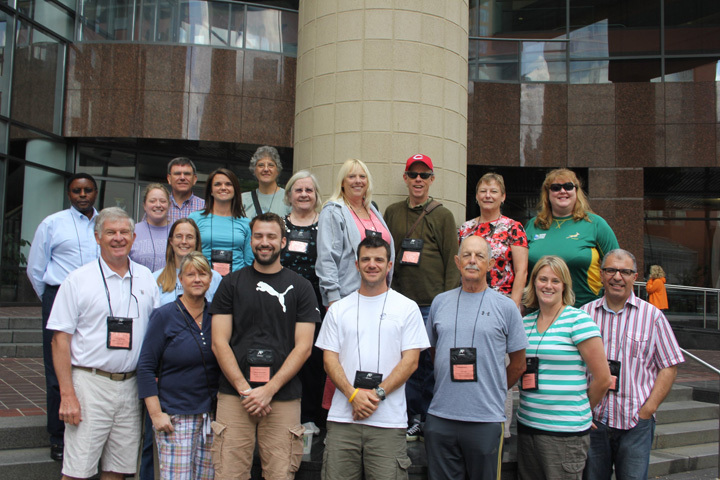 APHG teachers are particularly active at the state and national levels. Each year for the past ten, the VGA has sponsored well-attended APHG academies that have contributed to the building of a strong network of teachers across the Commonwealth. Many serve or have served as readers for the national APHG exams. 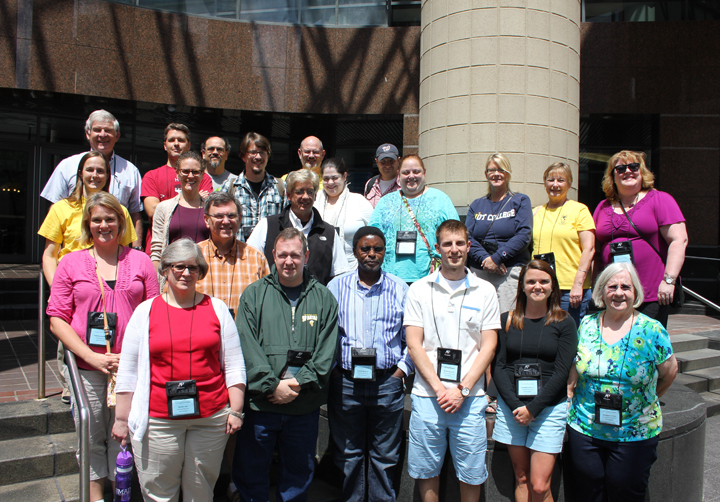 Virginia was once again well represented at the Advanced Placement Human Geography (APHG) reading in Cincinnati, Ohio. 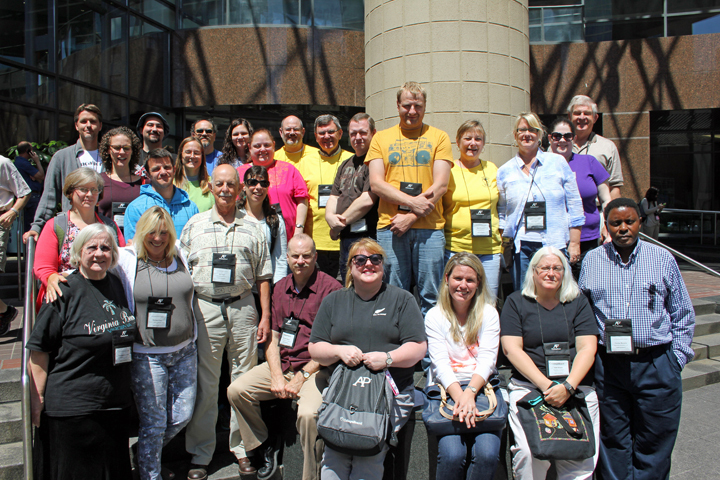 Twenty four educators claiming Virginia residency spent the June 2-8 period at the Duke Energy Center reading student essays. Don Zeigler served another year as Chief Reader. The Virginia Geographic Alliance hosted a successful dinner at a local restaurant for the Virginia group. More than 600 Advanced Placement Human Geography (APHG) teachers and higher education faculty gathered in beautiful downtown Cincinnati, Ohio to score the essays for 160,835 high school students who took this year’s exam. Among them were a good number of educators from Virginia. 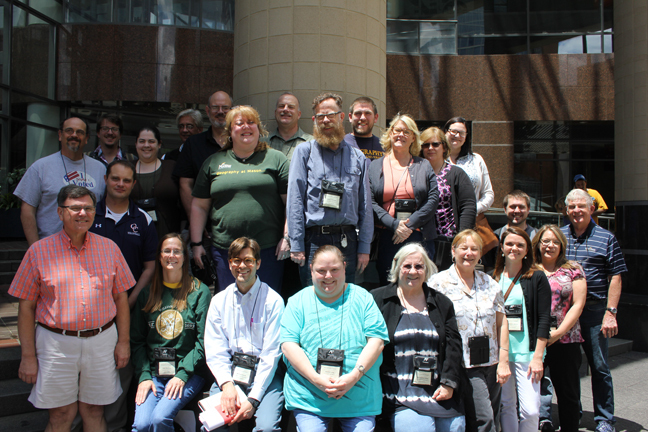 Twenty one High School, Community College and University educators from Virginia met with approximately 400 others from across the U.S and several other countries to score about 96,000 AP Human Geography exam booklets consisting of three questions each. The seven day event of reading, scoring (8am-5pm) and socializing marked the 12th year for the HUMAN GEOGRAPHY examination. Cincinnati’s Duke Energy Convention Center was and will be the site for the foreseeable future. Virginia was led by question leader Don Zeigler (Question 3) and table leaders Lyne Everhart (Question 1), Joe Enedy (Question 2) and Valerie Mervine (Question 3). Be proud Virginia—near the end of the reading it was announced that Don Zeigler will be “shadowing” Dave Lanegran, Current Chief Reader, in 2013 and assuming that role for the 2014 reading. Join the community to locate and share resources with your colleagues. And become a member of the VGA, too. Register here.